With the new update, we got attack stacks in arena based on alliance helps. For some reason the Ai has them too. Isn't this wrong? It might be grabbing data from the actual player's alliance then applying it to the AI bots, at least that's what appears to be happening. This is actually not wrong. When you get the Arena Boosts from Alliance Help, those Buffs are applied when your team is fought against as well. There is a maximum of 20 Stacks of the Attack buff, which equal up to a maximum of a 20% attack boost. You should call this buff "the Mexican standoff"
I agree this entire release is such a blatant grab for money it's ridiculous. Completely insane that this was intentional. I'd have more respect if someone just admitted it. Why even touch arena then? Anything that can use energon = potential money. It can further drive you to refresh your best team if you don't know whether you'll now have to do with a random attack boost. Also there is not plenty more to do when the arena is the best way to earn gold. I never understand why people take the time to make these comments other than trolling. Hey but why choose one of the most often played, useful and yet hardest modes in the game, and make it harder. I'm not complaining on a personal level, but uhh, come the fudge on! I noticed this buff, but I've not notice much of a difference. I was expecting an instant kill because, hey, 20 stacks of attack buff and just 20%↑? This is not a good feature. This is just stupid, what's the point of this "bonus" if in the ends it goes against us. It's great to start the day and having to fight bots with a 20% attack bonus before you get yours. The Bots in mission don't get an extra bonus, why the ones in the arena should, they are still IA after all. Absolutely useless the way it is now! Yeah this is just a dumb idea to give this to opponents as well, but if you're going to insist on adding this feature, then you need to market it as a challenge and not a benefit. It's your game, so feel free to add or remove whatever content you see fit, but don't drop a big deuce on our dinner plate and tell us we're all eating steak. You sound like a car salesman when that happens and nobody likes those guys. Not everything in the game can be marketed as rainbows, kittens, and unicorns, so just be honest and say "we're giving you all these great opportunities to earn more 4 star shards, but there's also a challenging gamble we're adding to this. 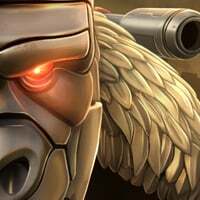 We're giving you attack boosts based on alliance help given, but you also run the chance of running into other players with these boosts." But just realize that players are gonna be pretty pissed about this when they start their mornings off with arena on streak 10 and no alliance buffs to help them and they come across a top player with a rating twice theirs and a 20% attack boost on top of that. I know I would be, given how hard streaks 10-14 already are without these buffs going against you. Happened to me yesterday in the 4* Arena. I had worked my way up to the 3x multiplier, with a streak of 8 or 9 going. My first match of the morning, got matched with an opponent 700 points higher which I can usually still beat, or at least get at least two wins to keep the multiplier going. However the AI had the full 20% attack bonus going. I lost the first one battle, barely won the second one, then on the third one I got pulverized by a MotorMaster. Giving that bonus to the AI definitely makes keeping a streak going even harder then it was before. So when are they going to cancel this stupid so-called bonus. So far it has been the exact opposite. I have never lost so many fights and I usually only lose between 5 and 10 on 120 victory streak. So, I've taken your concerns to the team and had a discussion with them about the Bonus applying to enemies in the arena. The good new is that they're open to removing the bonus from the AI so that it only sticks to the Player's Bots! The bad(ish) news is that this wouldn't be able to be done until early next week at the earliest. Not because we don't want to do it faster, but because this is going to require a lot of testing before we're confident in the fact that this won't break anything. Our goal is Monday morning, but this might move a little bit. 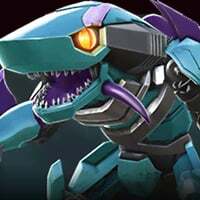 Us: "this is dumb, the opponent always has the advantage, and it makes us spend energon.. we aren't stupid"
Kabam: "ok..ok... You caught us, but we need a week to come up with something even more annoying for you to spend energon on that isn't CAPTAIN OBVIOUS." The fact that you even need to say "we have to check to make sure it doesn't break anything" is ridiculous. Just remove it completely. Arenas were fine before this addition. I mean you acknowledged something but how much testing has gone into any of this? You basically released something that broke the arena calling it intentional when I've never seen one comment about the existing mechanics. 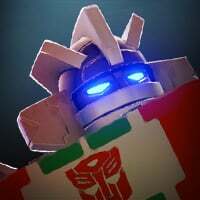 You broke Ratchet which clearly shows no testing on viability. I'm afraid to see what is next. If you do actually fix it, thanks until the next thing. ...but because this is going to require a lot of testing before we're confident in the fact that this won't break anything. Our goal is Monday morning, but this might move a little bit. These are confusing statements. In another thread, you stated that this change was intentional - which would imply that extensive testing of this new mechanic was done BEFORE the patch was rolled out....right? Now you are saying that after 2 days of complaints from players, you talked to the team and they have decided to go back to how it was before, but you are unable to reverse the change quickly because you want to do testing to make sure "this wont break anything". If I may, how does changing it back to the way it was before, need such extensive testing that this was unable to be done before the weekend? They need to extensively test how much less energon ppl will spend bro, isn't it obvious? We wanted to give you all a heads up that we're pushing this change right now. It might take a little while to propagate on your device, but pretty soon, you should not be seeing any of these Attack bonuses on your opponents in the arenas. This is because it was a new feature that required some changes to the back end, and although we can do it server-side, changing something back after it's been live where other live elements of the game that seem unrelated can be affected by it, can be risky.